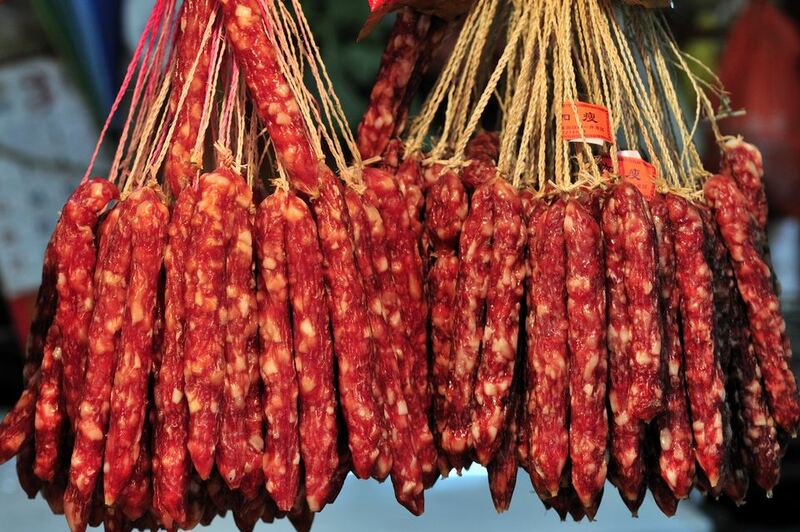 About 6 inches in length, Chinese sausage is darker and thinner than its western counterpart sausages. The most common variety is made with pork and pork fat, but you will also find other varieties made with duck liver or even beef. Manufacturers are also starting to offer fat and sodium-reduced varieties; however, in the west, it is currently easiest to find the standard pork sausages. The taste of Chinese sausage varies somewhat depending on the ingredients used, but it generally has a sweet-salty flavor. Chinese sausages can be purchased in Asian markets, either fresh or prepackaged. Chinese sausage nicely complements rice and vegetable dishes - the easiest way to cook the sausage is to add it on top of steaming rice (see How to Cook Chinese Sausage for further details). Stored in the refrigerator, Chinese sausage will last for several weeks. It can also be frozen. Make Your Own Chinese Take-out at Home!